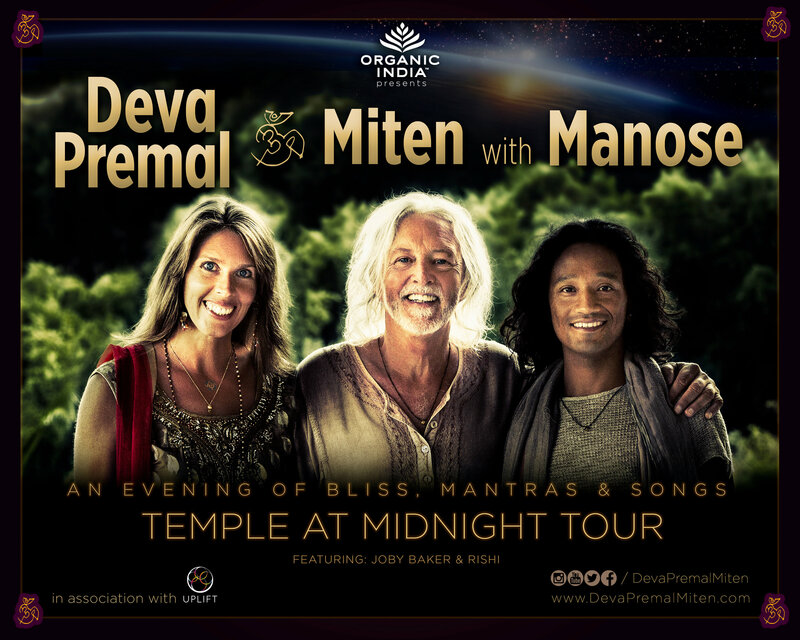 DEVA PREMAL & MITEN with MANOSE! that nourishes the very fiber of our being. Reserved seating will sell out quickly. Purchase early to secure a reserved seat. Houston is the only city in Texas this tour will be presented. Join us again – or for the first time. Make your heart happy and purchase early. Invite your friends and plan a festive evening! forward this announcement to your friends! For any general questions, please contact me directly. Subscribe to our newsletter for classes and events.